Established in 2008, we, Shapers Lab are the manufacturer and exporter of Laboratory Fume Hoods, Lab Accessories. We are service provider of Lab Furniture Repairing Service. 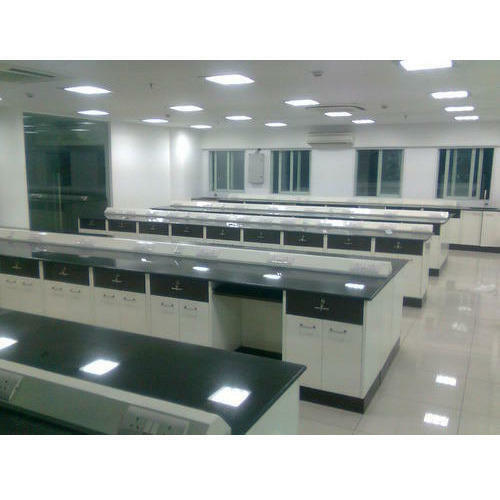 are the manufacturer and exporter of Laboratory Fume Hoods, Lab Accessories, Cabinets and Cupboards, Lab Trolleys, Lab Water Taps, Lab Sinks, Utility Valves, Lab Racks, Lab Benches and Tables, Lab Revolving Chair, Lab Stool and Lab Floor Mirror. We are service provider of Lab Furniture Repairing Service. The offered products are manufactured using latest technology and high quality raw material as per the set quality standards. Our products are highly demanded for their features like perfect finish, less maintenance, durability, corrosion resistant, leaf proof and high strength. Furthermore, we offer this range in several specifications in order to meet the diverse needs of clients.